Samsung’s flagship phones, the Galaxy S8 and S8+ are coming to India tomorrow, but where’s LG’s G6? It’s been almost two months since the G6’s official announcement back at the MWC 2017, and the South Korean company is already selling it in some countries. Not in India, though. LG hasn’t made any official announcement regarding the launch of LG G6 in India, but the preregistrations page has been made official on the company’s official website for India. Yes, LG is taking preregistrations for the phone, same as the Galaxy S8 and S8+. But, the launch date is still unknown. As far as the specifications go, the LG G6 comes with a 5.7-inch QHD+ display and features a metal body with glass on both front and back. The display of the phone is protected by Corning Gorilla Glass 3 technology, and the back panel is protected by Corning Gorilla Glass 5 technology. Even though the G6 packs a bigger display, it comes in a smaller footprint, thanks to the wide 18:9 aspect ratio and near bezel-less design. Under-the-hood, the phone is powered by the quad-core Qualcomm Snapdragon 821 chip, clubbed with 4GB of RAM and 32GB/64GB of native storage. The storage can be expanded via microSD card slot. Another highlight of the LG G6 is its dual 13MP cameras at the back. A single 13MP sensor captures standard RGB shots, while the other 13MP sensor captures wide-angle shots. The standard 13MP sensor has f/1.8 aperture and support for Optical Image Stabilization (OIS). There’s a 5MP camera with f/2.2 aperture at the front. The rear camera has the capability to record 4K videos, and the front-facing camera can record videos of 1080p quality. The phone comes with connectivity options such as 4G LTE, VoLTE, Wi-Fi 802.11 b/g/n/ac, Bluetooth 4.2, USB Type-C port, and a GPS chip. The phone boots Android 7.0 Nougat out-of-the-box and also has 3.5mm headphone jack, which is missing in modern day smartphones. This entire package is backed by a 3300mAh battery with Qualcomm Quick Charge 3.0 technology, which can charge your phone from zero to 100 percent under 90 minutes. LG is yet to make an official announcement date for the launch of LG G6. The LG G5 was launched in the first week of May, and the same might continue this year as well. The LG G6 might be priced below Rs. 50,000 due to the one-year-old chip. Off topic The Lenovo P2 with 3GB RAM and 32GB storage space is listed at Rs. 13,999 while its regular price tag is Rs. 16,999. The 4GB RAM variant of the Lenovo P2 is priced at Rs. 15,999 after the discount while its regular price is Rs. 17,999. On exchanging your old phone, you can get discounts of up to Rs. 13,000 and Rs. 15,000 off on the 3GB and 4GB variants of the Lenovo P2. I don’t face any like that… Update and try single SIM if you face signal issues. Lenovo = crap. Better buy Oppo or Xiaomi if you want to go for a Chinese brand. Lenovo P2 at 13999+exchange is very good buy. Bigger battery, fast charge, amoled display, more LTE bands, full metal design top to bottom unlike plastic non Redmi note 4. RN4 is good but if someone feel to try different and need extreme battery this is good. I got 3+32 when it’s 14999 🙁 🙁 I hate Lenovo pricing flactuations…, But this P2 is king of battery endurance. For 13999+ exchange is the best anyone can get. 3+32 is more than enough, 4+32 is not worthy of extra 2k. I still has free ram with my extremely heavy usage. 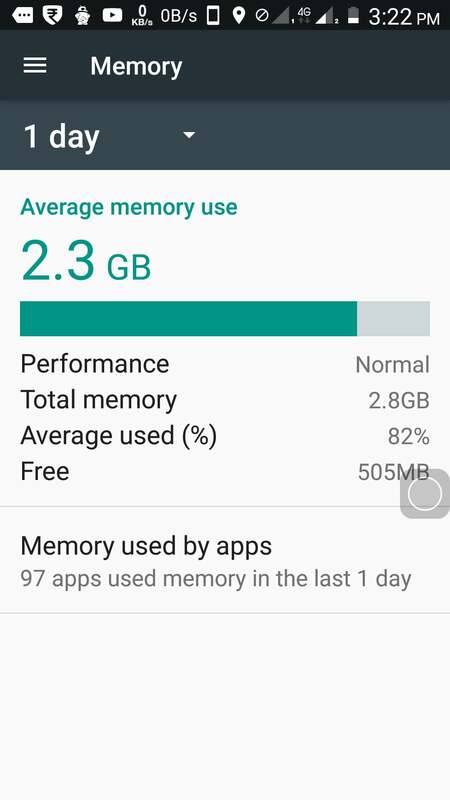 4 GB is waste with almost stock Android. Save money for next big buy.